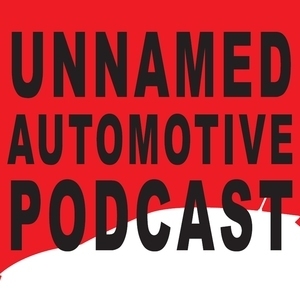 We found 5 episodes of Unnamed Automotive Podcast with the tag “infiniti”. How many times can we say 'compression' in a single podcast? How many awkward explanations of internal combustion can we provide over the course of an hour? Find out with this week's look at the 2019 Infiniti QX50, Mazda's Skyactiv-X compression ignition prototype, and the plug-in 2018 Mitsubishi Outlander PHEV. Compression! Compression! Compression! Benjamin and Sami record live from the floor of the 2017 Los Angeles Auto Show as they walk from one vehicle debut to the next, commenting and analyzing the newest vehicle unveilings. Also, AMG Peformance Donuts and hot takes from the interior of a Mazda Miata race car!